Delicious Magic Bars (Seven Layer Bars) made Healthy and Gluten Free! 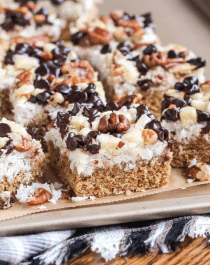 Magic Bars are a classically UNhealthy dessert, with the graham cracker crust packed with butter, the sweetened shredded coconut covered in sugar and the condensed milk full of even more sugar… it’s a calorie bomb, fat bomb and sugar bomb. While nothing is wrong with fat, per se — because healthy fats are good for you! — it’s just ridiculous how much can fit into one little square. I want my food to energize me and make me feel good, not weigh me down and make me feel like I need a nap. 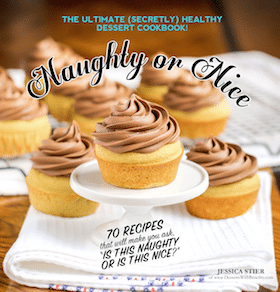 So I made a healthier version without the butter and the added sugars, but most importantly, no partially hydrogenated oil or trans fats… just simple, pure, natural and wholesome ingredients. From the looks of it, can you even tell that these are good for you? No. 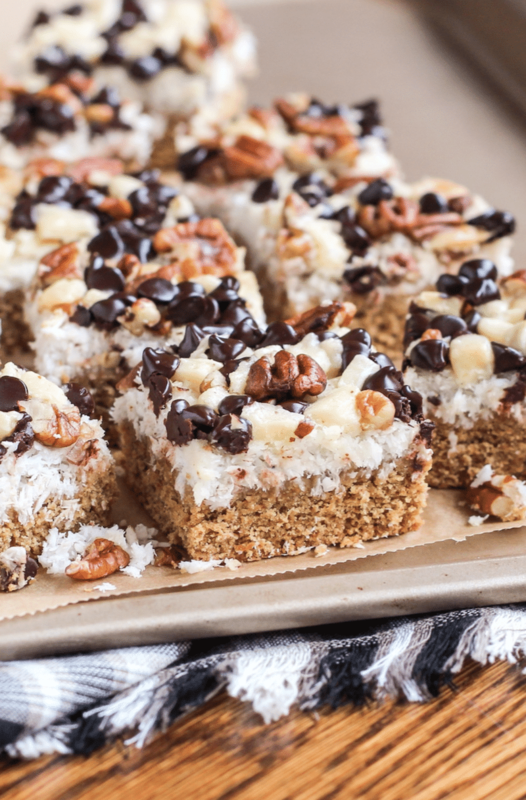 These are sinless Magic Bars, a healthier alternative that sure doesn’t taste healthy at all! MY heart is melting! These look incredible. I have never had a 7 layer bar, but by the looks of these, I have to soon! 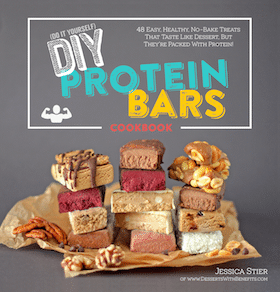 I love that you used some homemade ingredients so that these bars truly are healthy! 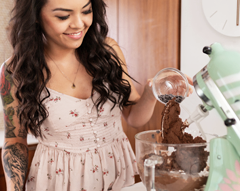 What a great recipe makeover! I haven’t had 7 layer bars in so many years, and never have any of the traditional ingredients in my pantry. I can definitely get behind these. I have to try this one of these days. This looks so very good!, I can not wait to make this!